The doji is a special type of candlestick pattern that can signal a changing market. We can use it to try to understand the sentiment and to recognize times when the market strength is switching between buyers and sellers. 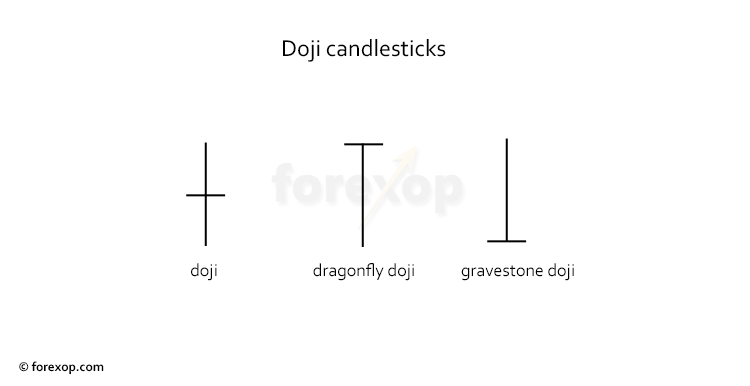 The basic identifying feature of the doji is that it’s a candlestick with a flat or near flat body and has either a long upper shadow a long lower shadow or both. There are several variations to the standard form as shown in the figure below. The flat body of the doji candlestick means that the market opened and closed at roughly the same level, despite there being an amount of price movement in between. 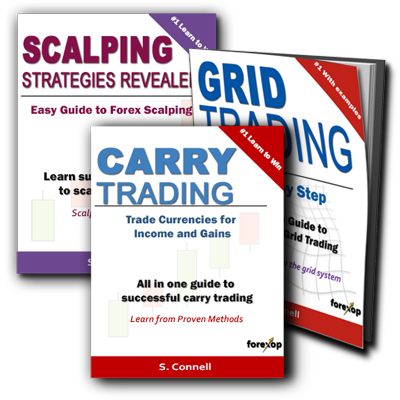 The price range can extend either above or below the body which marks the open/close price. When the price range is mostly below, the pattern is known as a dragonfly, and when above, it’s a gravestone. With a standard doji, the flat body is aligned approximately in the middle of the price range and the candlestick then resembles a cross as in the diagram above. 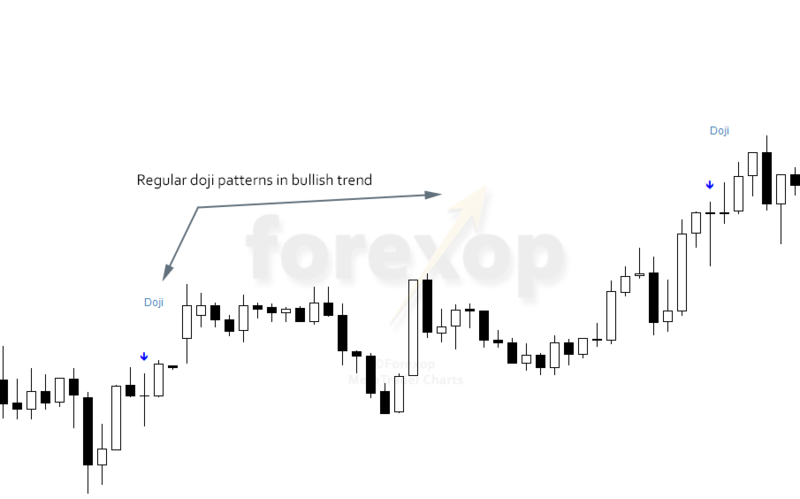 The chart in Figure 2 shows two doji patterns forming in a bullish trend. The first is a regular cross and the second is a dragonfly. In any of these situations we have to look carefully at the chart to assess what it is telling us. Although these patterns are simple in appearance, their interpretation is not straightforward. The very nature of a doji pattern means that the price failed to make headway during that time period. The length and position of the shadow marks the price’s range and this can often provide some clues to what is going on. A long shadow indicates a deep price move. This can mean that the market is aggressively testing a lower or upper range. The trigger for this can be a support or resistance line. A support or resistance line will usually be tested before the price either breaks out of the range or reverses and retreats back to the range. A short shadow suggests price activity is more subdued. Here the market may be in a state of consolidation before the trend continues in the same direction. These kinds are common in static markets. When a news announcement is about to be released for example traders are not prepared to bid the market up or down until the new data arrives. Like all Japanese candlestick patterns, the doji can be found in flat, up or down markets. Whenever one appears we need to read it carefully. This means we need to look at the chart in terms of the trend, the support and resistance lines, and the level to which the market is overbought or oversold. And we also need to check for any significant news that’s on the horizon. Dojis are commonly found in trends as the price approaches a zone of support or resistance. Here the pattern marks a period of hesitation. We have to treat these as potential breakout trades because there’s the possibility for either a reversal or a breakout. The chart below shows two doji forming near a support/resistance line. With the first the market tests the resistance from below and then breaks through to the upside. 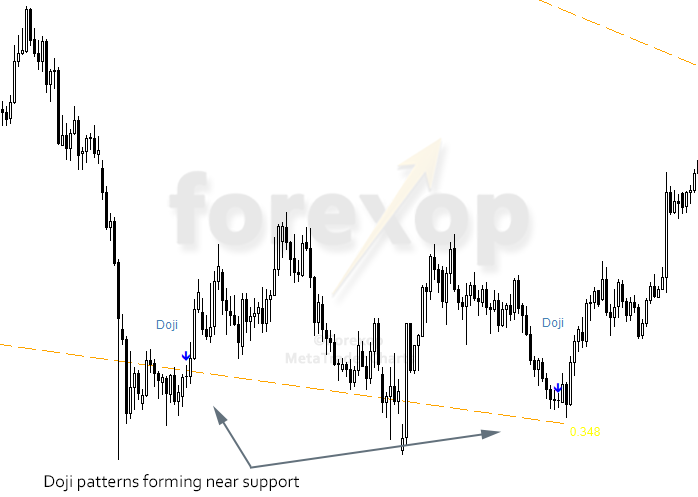 With the second, the pattern forms as the price tests the same line from above, now as a support. In this event the price rebounds and rallies again. The patterns are identified with this indicator. We need to pay special attention to a doji when it forms in an otherwise strongly trending market. A doji always represents some level of indecision. And these formations can suggest that sentiment may be about to swing the other way. Most traders will attach more weight to a doji if it occurs in a period of strong trading volume. This is especially so if the market has made a significant move in a short period of time. In this situation the doji pattern is treated as a potential correction or at least a brief pullback. As the above charts demonstrate, a doji can be a contrarian signal. What may look like a reversal can often turn into a continuation. The opposite also holds. Equally, times of falling volatility often come just before strong breakouts. For this reason, we need to look at doji from several angles and to be prepared for the unexpected. The term Doji Reversal Pattern sounds familiar to me but didn’t have in depth knowledge about this notion before reading this particular article. This article contains almost every information about Doji Patterns and can be taught as a lecture too. Good work!